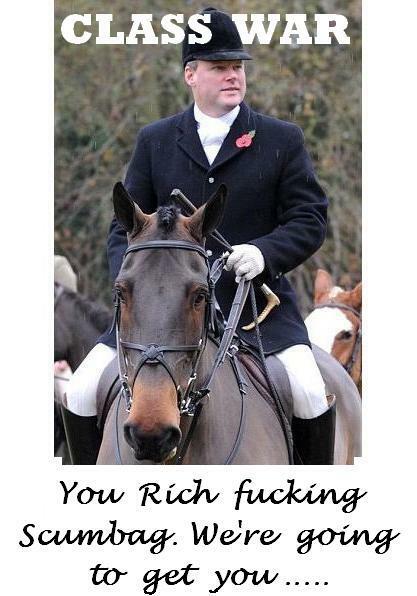 ANARCHISTS are set to invade the country estate of British banker Stephen Hester. Class War founder Ian Bone is calling on his blog for an 'Occupy Hester' action on Sunday April 29, the date of an official open day for the forelock-tugging public to admire the arrogant fat cat's wealth. The proposal has already been reported by The Guardian and bankers' website Square Mile. Bone says: "Stephen Hester’s 350 acre country mansion is BROUGHTON GRANGE at Broughton near Banbury in Oxfordshire. "The next OPEN DAY there is on APRIL 29th – when for a mere £6 you can marvel at Stephen’s good luck and shake hands with one of his eight gardners…….no doubt the scullery maid will also be present. "Soooooo……CLASS WAR are urging as many people as possible to come on the open day and chuck a few more quid into Hester’s maw. Fun and games assured. BE THERE – BEST FUN SINCE HENLEY. Our French comrades will be visiting his ski lodge at Verbier on the same day. " 51-year -old Hester is chief executive of RBS, bailed out by the British taxpayers for £45 billion, and was this week forced to waive a £1m bonus after public outrage at fat cat greed. 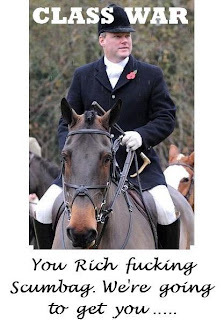 Hester also enjoys the upper class hobby of murdering wildlife and his wife is a master of fox hounds in Warwickshire. AN INSPIRING message of defiance and hope has been sent out to the world by one of the young activists in the Occupy Oakland movement, following the weekend's clashes. Declares Boogie Man on his blog: “I will seek the changes I marched for tonight until I win or die. It is the task of my generation, worldwide, to return power to the people. "Governments around the world are quickly realizing that our generation will not back down. Anarchist blogger Paul Cudenec comments: "This is exactly the spirit I have been writing about over the last couple of years – the spirit that is necessary if we are ever going to save our planet from death by capitalism. "This kind of force of opinion has got nothing to do with two-dimensional party political programmes or efforts to ‘build towards’ some short-term reformist goal. "This is the real thing. This is the life force swelling up from the collective unconscious and manifesting itself in an individual who feels its power and is ready to be guided by it. "As every previous generation of rebels fades away, a new one is born to take its place – and to push even harder against the system that is blocking its potential." PROTESTS against the ACTA attack on web freedom are spreading fast, with one planned for the UK on Saturday February 11. Current plans are to meet in London's Trafalgar Square at noon, but supporters are urged to check the web page for updates. Says the Stop Acta London group: "The Anti-Counterfeiting Trade Agreement (ACTA) is a plurilateral agreement for the purpose of establishing international standards for intellectual property rights enforcement. "The agreement aims to establish an international legal framework for targeting counterfeit goods, generic medicines and copyright infringement on the Internet, and would create a new governing body outside existing forums, such as the World Trade Organization, the World Intellectual Property Organization, or the United Nations." Massive protests have already erupted in Poland over the sinister agreement. And on Friday EU official Kader Arif resigned as rapporteur, saying negotiations over the controversial "anti-piracy" agreement "lacked transparency". THE USA is heading towards being a police state, a lawyer warned this weekend after a brutal attack on Occupy protesters in Oakland. Cathy Jones, an attorney with the NLG gave the following statement to Occupy Oakland’s media team: “Through everything that has happened since September, from Occupy to the acceleration of 'Bills' — NDAA, SOPA, PIPA, ACTA — never have I felt so helpless and enraged as I do tonight. "These kids are heroes, and the rest of the country needs to open its collective eyes and grab what remains of its civil rights, because they are evaporating, quickly. Oakland Police deployed hundreds of thugs in riot gear so as to prevent Occupy Oakland from putting a building, vacant for 6 years with no plans for use, from being occupied and 're-purposed' as a community center. 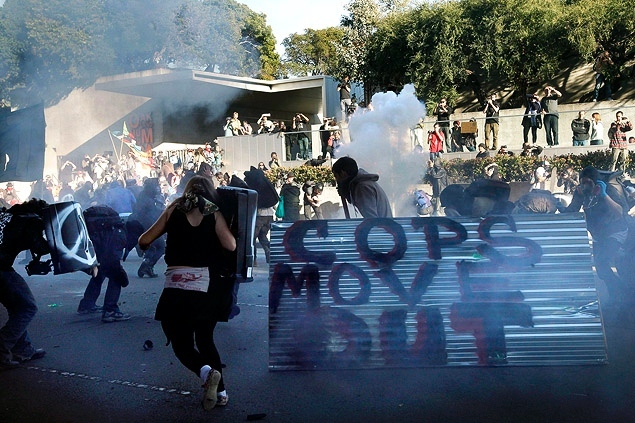 The Occupy Oakland General Assembly had passed a proposal calling for the space to be turned into a social center, convergence center and headquarters of the Occupy Oakland movement. Tear gas, batons and explosive devices were used against the protesters, many of whom suffered injuries at the hands of the neoliberal fascist enforcers. Some 400 people were arrested. 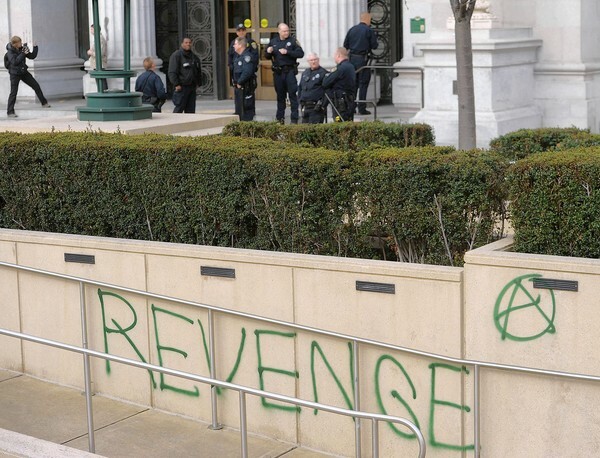 In a daring revenge attack, rebels broke into Oakland City Hall, smashed display cases, cut electrical wires and burned an American flag, said media. 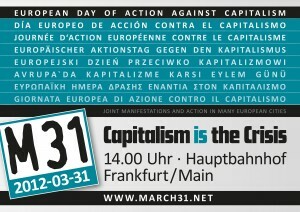 A EUROPEAN Day of Action Against Capitalism has been called for Saturday March 31 2012. Said a statement on the M31website: "During an international meeting in December 2011 in Frankfurt am Main, several left wing organisations and grassroots unions from Greece, Spain, Poland, Austria and Germany decided to launch a joint effort against capitalist reforms under the current crisis. "On March 31st, there will be a 'European Day of Action against Capitalism', with simultaneous demonstrations in those countries, labeled 'M31'. "Groups from other countries are likely to join in, as networking continues. 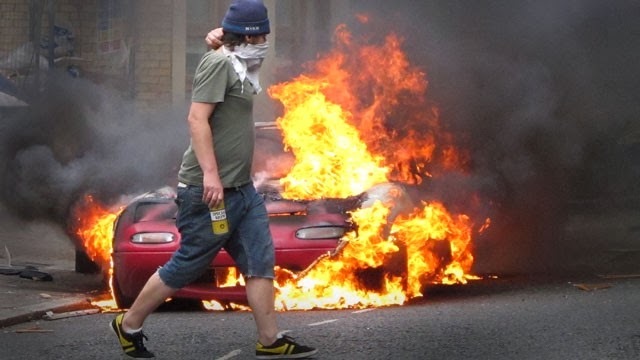 Protests will be directed against neoliberal and undemocratic impositions by the European Union (EU), the European Central Bank (ECB) and the International Monetary Fund (IMF). "The anticapitalist organisations involved want to send a clear signal against further austerity measures, mainly propelled by Germany, and on the backs of workers, the unemployed, students and migrants. 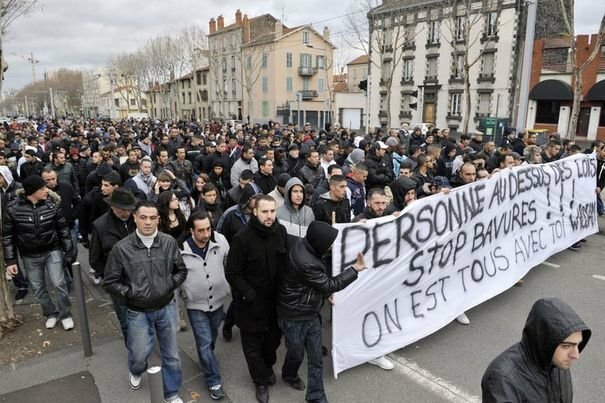 "We protest against nationalist propaganda targeting wageworkers in Southern European countries, and against the EU’s military bulkheading on its borders. Alternatively, organisers of M31 call for transnational solidarity and self-organisation of those affected by further cuts, privatization and capitalist exploitation. "Up to now, there is no effective transnational solidarity between workers, unions, the unemployed and migrants. If we want this to change, we’ll have to do it ourselves. "The international day of action in spring preludes a forthcoming European initiative of left wing organisations and grassroots unions, preparing further protests throughout 2012. We invite other emancipatory unions and organisations to join M31. "Please take note of our Call for Action on www.march31.net. We’ll be happy to answer any request or proposal. PRESSURE is growing on the European Union to drop its bid to sneak through new legislation which will effectively censor the internet. On Friday EU official Kader Arif resigned as rapporteur of the Anti-Counterfeiting Trade Agreement (ACTA). The French MEP said that negotiations over the controversial anti-piracy agreement "lacked transparency", and claimed that the European parliament was denied its say. Arif condemned the ACTA deliberation process, saying that he witnessed "never-before-seen manoeuvres from the right wing of this parliament to impose a rushed calendar before public opinion could be alerted". He also spoke out to "denounce in the strongest possible manner the process that led to the signature of this agreement", stating that there was an "exclusion" of the parliament's demands on numerous occasions, The Parliament reports. Arif added: "Everyone knows ACTA is problematic, whether it is its impact on civil liberties, the way it makes internet access providers liable, its consequences on generic drugs manufacturing, or how little protection it gives to our geographical indications. "This agreement may have a major impact on the lives of our citizens, and yet everything is done so that the European parliament has no say. I will not participate in this charade." Meanwhile, big protests continue in Poland, where the population has woken up to the threat posed to online freedom of speech and is pressuring its government not to ratify the agreement. Reports RT: "Unlike the week’s massive protests, Friday’s showdown had clear political overtones. While the majority of demonstrators were saying “no” to the treaty, a large crowd was also directing their anger at the government. Experts say, the scale of public dissent has managed to make authorities nervous." TENS of thousands of Poles are expected to take to the streets on Friday as anger grows over the neoliberal fascists' attack on the global internet. Despite widespread opposition, Poland on Thursday signed the ACTA treaty behind closed doors in Japan. Under the guise of protecting 'copyright' this will in fact criminalise free expression on the web and is likely to lead to authorities blocking content they don't like. After the signing, protesters rallied in the Polish cities of Poznan and Lublin to express their anger over the treaty. An even bigger demonstration is planned for Warsaw later today, Friday January 27. Anonymous hacktivists have already disabled a whole swathe of Polish government websites in protest at the move. DESERT rebels have launched a revolutionary war in the Sahara. The fight for a free Azawad has turned into an armed conflict after brutal attacks on the population by the US-backed state of Mali. On January 17 armed resistance fighters attacked military compounds in Menaka, Adaramboukare and Tessalit in the north of the African country. Fighting continued for some time and there was a serious clash at Aguelhok. Behind the insurrection was the Azawad National Liberation Movement (Mouvement National De Liberation de l'Azawad - MNLA), a group formed on October 16 last year. The Mali state flooded the area with tanks, aircraft and troops and more fighting broke out on the morning of Thursday January 26. The MNLA says the Malian army suffered heavy losses and was forced to retreat. Photos published on Facebook show the wreckage of a burnt-out MIG-21 jet shot down by the resistance fighters. Mossa Ag Attaher, spokesman for the MNLA, told French newspaper Le Monde that the aim of the struggle was to liberate Azawad from Malian colonialism. He explained that Azawad consisted of three regions currently part of Mali - Timbuktu, Gao and Kidal. The MNLA was fighting for the aspirations of the Touareg people and also those of the Songhai, Peuls and Moors. They had a right to choose their own form of government, to self-determination and, if they so desired, to independence, he said. The MNLA is the result of a fusion between the Mouvement National de l'Azawad (MNA), a group of young intellectuals and political activists, and the guerrillas of the former Alliance Touareg Niger Mali (ATNM). 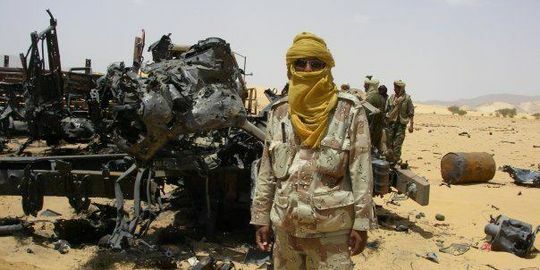 These elements have now been joined by groups of former Touareg rebels who fled Mali in the 1990s to join the Libyan army and returned to Azawad, with plenty of weaponry, during the NATO war on the Gaddafi regime. AUSTRALIAN Prime Minister Julia Gillard and opposition leader Tony Abbott were trapped in a restaurant for half an hour by a crowd of anti-racist protesters. The 200 indigenous rights campaigners were responding to Abbott's statement that it was time to move the Aborigial tent embassy that has been in Canberra for 40 years. They surrounded the building, banging on glass and shouting "shame" and "racist". As the politicians were "rescued" from the restaurant by police, Gillard tripped and lost a shoe. 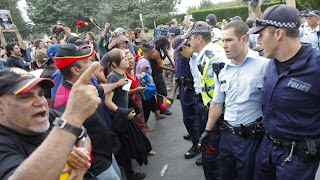 Her car was also blocked by protesters, who banged on the roof, reported news.com.au. 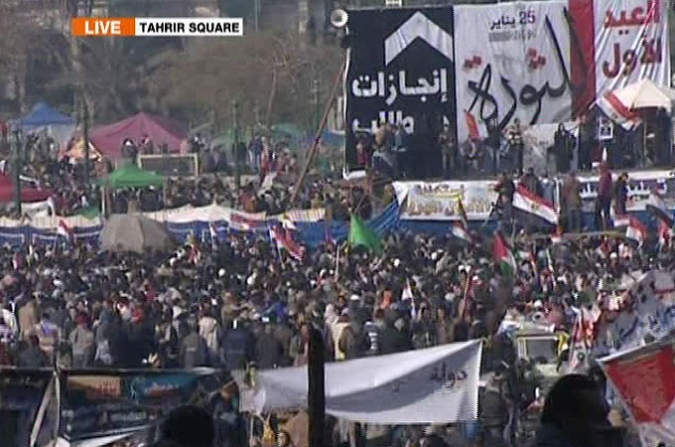 THOUSANDS of Egyptians are gathering in Cairo's Tahrir Square today to mark the anniversary of the January 25 revolution. And amidst all the pride and celebration is anger that despite all the efforts made and lives lost, the country is still essentially ruled by the same elite. The SCAF military junta has promised to step down once a president is in place in June, but there is little reason to think it will voluntarily step away from political control. The brutality it has deployed against protesters in the last few months has been horribly reminiscent of the Mubarak regime that the revolution famously toppled. A live blog of today's Tahrir protest is being run by Aljazeera and you can also follow the #jan25 hashtag on Twitter to see how events develop. ANTI-CAPITALIST igloos have been built in Switzerland at a protest camp against the World Economic Forum. Occupy WEF says on its website that it has contructed five of the ice homes at Davos, plus a couple of yurts and a field kitchen. It adds: "Every year, self-proclaimed 'global leaders' allegedly committed to improving the state of the world meet up for the World Economic Forum (WEF) in the Swiss mountains to propagate their own businesses and network amongst the so-called global economic elite. 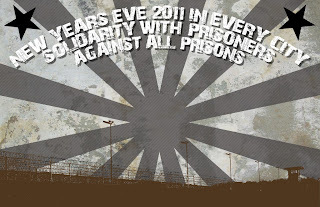 "This year, we will not let them exclude us, the 99%! We say: occupy WEF!" The protesters re calling for people to join them in Switzerland for a week of protests - updates via their Twitter account. A video of the igloos being built can be seen below. LIBYANS are rising up against the new western-backed regime and moving towards a real grassroots revolution. 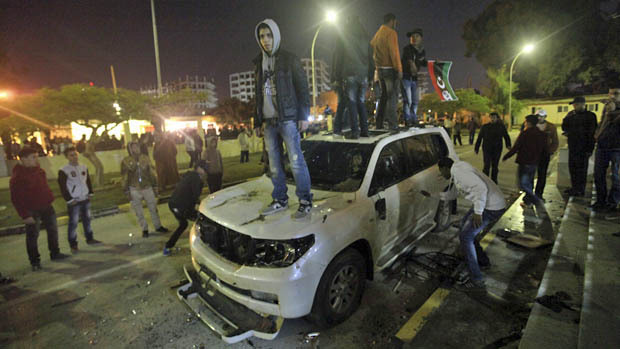 Protesters ransacked the Transitional National Council's offices in Benghazi on Sunday, with a crowd of mostly young men throwing a grenade, smashing windows and forcing their way into the building while the council’s chairman, Mustafa Abdel-Jalil, was inside. Reports the New York Times: "For months, youth groups with a range of complaints have been protesting against the Transitional National Council in Benghazi, the eastern city whose protests sparked the nine-month revolt and which once served as the rebel capital. "Protests have cropped up elsewhere, too, including in Tripoli, the capital, where activists have erected a small tent city across from the prime minister’s office. "Speaking to reporters in Benghazi on Sunday, Mr. Abdel-Jalil warned that continued protests could lead the country down a perilous path and pleaded with protesters to give the government more time." ANOTHER site in central London has been taken over by the expanding Occupy movement. 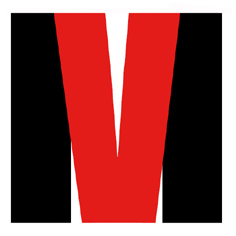 Said a post on UK Indymedia: "The Occupy London campaigners – part of the global movement for social and economic justice and real democracy – stated that they intend to occupy the building – their fifth occupation – until such time as the City of London Corporation publishes full details of its City Cash Accounts. This is a request that Occupy London has consistently asked off the Corporation, so that it can become a more transparent public body like every other public body in the country. "A press conference will be held at 11am today at the building which is on the corner of Wood Street and Fore Street (London EC2Y 5BA), with the building opening to the public at 11am Monday 23 January for a lecture focusing on the City’s secret finances and its lobbying activities. 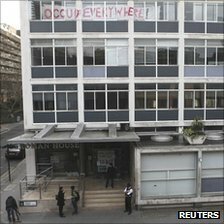 Roman House is a non residential building for Occupy London. The City of London Police have visited the building and have agreed that it is a civil matter. "Occupy London is still waiting. "Calls for greater transparency from the Corporation have grown since OccupyLSX by St Paul’s began its occupation on 15 October, with support given from groups such as Reclaim the City who campaign for the democratisation of the City. "Roman House becomes Occupy London’s newest occupation, while its first occupation – OccupyLSX bySt Paul’s Cathedral – will this Monday celebrate its 100th day. Other occupations includeFinsbury Squarewhich is currently in the process of transforming into an eco-village , the Bank of Ideas which was previously the abandoned multimillion pound offices of Swiss investment bank UBS and Occupy Justice, the former Old Street Magistrate’s Court where Occupy London has been putting the one per cent on trial. " ANONYMOUS hacktivists launched their 'largest attack ever' on Thursday in response to the US government's growing war on internet freedom. Before controversial 'anti-copyright' legislation has even been passed in the form of the SOPA and PIPA acts, the American 'world police' moved against one popular non-US sharing site, with arrests made on their behalf in New Zealand. Said an Anonymous statement on YouTube (see video above): "A new era has come. Anonymous is no longer playing nice, and we do not intend﻿ to ever play nice. "We have seen you corrupt our people, corrupt our country and we will not sit and watch while you allow bills such as SOPA and PIPA to be passed. "Our power is too strong and soon they will have to listen to the people. This is a time of action. We as a nation must come together and fight the tyrants! "Do not sit and watch! Do not sit and cheer! Use your powers!" Although the Megaupload website is based in Hong Kong, some of the alleged pirated content was hosted on leased servers in Ashburn, Va., USA, which gave federal authorities jurisdiction, the indictment said. Said Technolog : "The Justice Department said in a statement said that Kim Dotcom, 37, and three other employees were arrested Thursday in New Zealand at the request of U.S. officials. Three other defendants are at large." Reported the AnonOps Communications site: "Within minutes of the site being shut down, and DOJ releasing its statement, Anonymous sprang into action and started taking down a ton of sites -- including websites for the DOJ, the US Copyright Office, Universal Music, the RIAA, the MPAA and a bunch of other sites." It added: "Many members of Congress have just changed their stance on the controversial Stop Online Piracy Act, or SOPA, the raid on Megaupload Thursday proved that the feds don’t need SOPA or its sister legislation, PIPA, in order to pose a blow to the Web." THE ROMANIAN uprising against neoliberal fascism continues, with more protests planned for Thursday. Anger is growing against the regime of President Traian Basescu, which has been brutally imposing IMF-ordered 'austerity measures' since 2009. But the ruthless attack on people's living conditions has gone so far that they are taking to the streets in their thousands and staying there - even though Basescu has hastily dropped the changes to the health system which sparked the latest protests. The outbreak of people power has been met with the same police brutality as is being unleashed by other local franchises of the global capitalist system, as can be seen in this 12-minute video by Alex Sandulache. RT reports: "­Some 60 people have reportedly been injured as demonstrators clashed with riot police, hurling stones and petrol bombs, in an outpouring of rage against the government." It quotes Marioara Florescu, aged 60. She has worked all her life in a textile factory in Bucharest, but now she is being forced to pay for her social security out of her small pension. 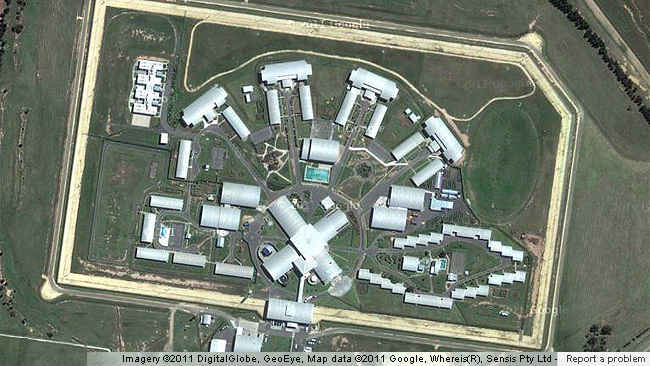 ARMED prisoners have scaled fences in a full-on riot at an Australian jail. 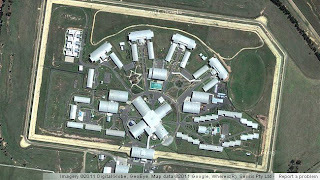 It was being reported on Wednesday January 18 that at least two buildings were on fire at Fulham Prison in Sale, Victoria. Said one website: "Prison authorities are being held at bay as the prisoners brandish bar bells and other gym equipment on the northwest side of the prison." Pepper spray was being used to try and put down the rebellion. Prisoners are understood to have become increasingly unhappy at the way they are being treated and the riot was sparked when they were ordered indoors on Wednesday afternoon. 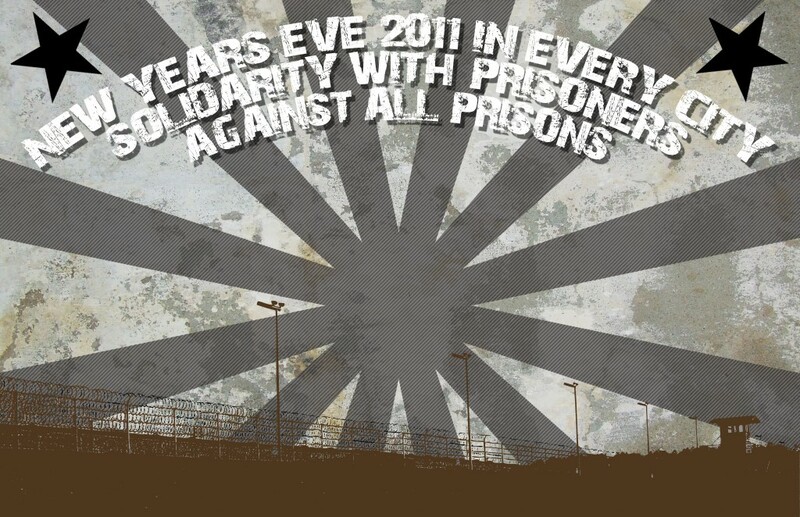 The latest uprising comes just a few weeks after worldwide solidarity protests outside prisons at which organisers declared: "We will not let the prison system break their spirits and our passion for their freedom WILL be heard." 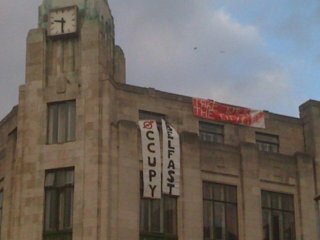 OCCUPY Belfast activists have taken over a high-profile disused bank in the Northern Ireland city centre. Says a statement from the group: "Occupy Belfast have taken control of the Bank of Ireland on Royal Avenue in opposition to soaring homelessness, lack of affordable social housing and home repossessions. "We hope today’s announcement will serve to initiate the building of a housing campaign. Building such a campaign will not be easy. "To do so we need to begin to organise as workers, students and the unemployed in a real and meaningful way in our communities – to become involved in discussing, agreeing on and organising the tactics necessary to build resistance and a better society for all. "No politician will do it for us. We hope the seizure of the Bank of Ireland will be the place to begin. "Banks take our houses so we take their buildings. This is a repossession for the community! " Blogger Slugger O'Toole writes: "On Saturday, Occupy activists entered the disused Bank of Ireland branch on the corner of Royal Avenue and North Street, which was the home of the Belfast Stock Exchange in the days when we still had one… at least until the late 1990s, if my memory is correct. "They did not make their presence public until just before noon today [Monday], when they unfurled a number of banners from the top floor of the building, quickly attracting a crowd of curious onlookers, along with the PSNI and, for a brief period, keyholders and the Fire Brigade. "They could not have picked a better metaphor for their critique of free-market democracy. "Not only did is it the former home of a stock exchange, it also hosted a branch of an institution that has benefited from the controversial taxpayer-funded rescue package for profligate banks in the Republic. "This gorgeous building, one of Belfast’s few pieces of art deco, has lain empty at one end of the City’s main shopping thoroughfare for almost half a decade. "The property developers who bought it in 2007-ish were doubtless working on assumptions about the future of Northern Ireland property prices that have turned out to be grossly unrealistic. "And so, one of the gateways to the city centre is overlooked by a decaying shell rather than something productive and well looked after. This is indeed a case where the logic of the market flies directly in the face of the common good." ROMANIANS have joined the worldwide uprising against neoliberalism with a weekend of protests in which molotovs were hurled at police. The uprising was sparked by unpopular government proposals to push funds into the private healthcare sector while neglecting the public system. But this was just the latest in a familiar series of steps towards a global neoliberal takeover of the country, which date back to a loan of 20 billion euros from the International Monetary Fund and the European Union in 2009. The usual strings were clearly attached behind the scenes and the Romanian government cut salaries in the public sector by 25% a year later to enforce so-called "austerity measures" recommended by the IMF. Reports The Associated Press: "Romania's government called an emergency meeting late Sunday to discuss violent protests that show no sign of abating after demonstrators angry about austerity measures hurled stones and firebombs at police. At least 13 people were injured. "More than 1,000 protesters clashed with police, who used tear gas and flares to repel demonstrators who blocked a main road in Bucharest. One man was briefly set ablaze during the chaos. Interior Minister Traian Igas called an emergency meeting to deal with the crisis. "The protests, in their fourth day, are the most serious since President Traian Basescu came to power in 2004. They are the result of frustration against public wage cuts, slashed benefits, higher taxes, cronyism in state institutions and widespread corruption. "Protesters yelled 'The Mafioso government stole everything we had!' and 'Get out you miserable dog!' -- a popular expression of contempt used to refer to Basescu." OCCUPY Nigeria is gathering momentum, with the upsurge in people power now threatening to disrupt oil supplies to the world markets. Nigeria's biggest oil workers have threatened to shut Nigeria's oil rigs starting with work stoppages on Sunday, as anger grows over President Goodluck Jonathan's axing of fuel subsidies for ordinary people. If the union follows through, analysts estimate that Nigeria's oil output could fall by between several hundred thousand and a million barrels a day. Nigeria produces two million barrels of crude daily, accounting for 95% of its export revenue, yet about 70% of Nigerians persist on just $2 a day or less. The Wall Street Journal warned its readers: "Some analysts warn that even if Mr. Jonathan were to restore part of the subsidy, the concession wouldn't be enough to satisfy the thousands of protesters, who have turned city centers into caldrons of antigovernment sentiment." It quoted Bismark Rewane, managing director of Financial Derivatives Co. in Lagos, as saying: "Both the unions and the government have lost control of this process," The protests, he said, were "becoming a referendum on Goodluck." "All the oil wealth that this country has earned over the years hasn't touched the population," said Adeyinka Shorungbe, a 36-year-old banker who was one of several thousand demonstrators who on Thursday marched through the affluent center of Nigeria's largest city, Lagos. "Everyone knows what's at stake here." The Independent reported that Jonathan's government was warning of "anarchy" in Nigeria and reported seeing a protester carrying a sign that read: "We are ready for the civil war." GREEK revolutionaries have stormed a radio station in Athens and broadcast a message of solidarity with comrades on trial. Contra Info reports that the action on January 10 involved some 20 members of the solidarity assembly for the case of Revolutionary Struggle (Epanastatikos Agonas), whose trial is currently underway. They entered the corporate radio station flash.gr on Kifisias Avenue and interrupted the station’s programme, to transmit their statement. It adds: "Despite the fact that neither the station’s management, nor its staff asked officially any police intervention, scores of police (DIAS motorcycle units, squads such as MAT, plainclothes cops, among others) soon arrived on the spot and encircled the building. 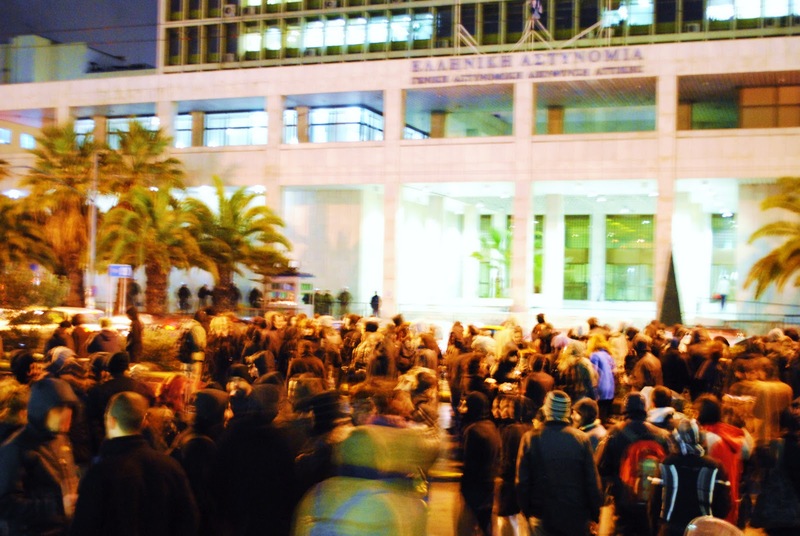 "At about 14.00, after hours of being blocked inside the radio’s offices, anarchists who took part in the solidarity intervention were detained en masse and taken to the police headquarters on Alexandras Avenue: two prosecutors along with police squads stormed the radio station, forcing the comrades to exit the premises; all were handcuffed and held in police buses, while their mobile phones were confiscated." The report says that as soon as the news was circulated, anarchists gathered opposite the police HQ, where a solidarity protest of approximately 100 people was staged. A text released by the 20 detainees themselves states: "We have taken this action in an effort to break the wall of silence and the political order to gag the trial process and the political discourse of the defendants in the Revolutionary Struggle case. "A confirmation of this gagging was the immediate reaction of police forces during the broadcast of our audio message with the words of the prosecuted for the same case. 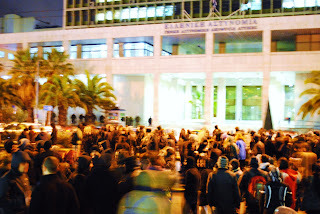 "This mobilization of the executive and law enforcement authorities is indicative for anyone who resists, for whoever puts forward the total overthrow of the system through the social revolution, which is the only way to escape from the modern totalitarianism of the Troika of EU, ECB and IMF and their trustee, the Greek State, that have submitted the entire society in poverty and misery." POLICE have killed 10 protesters as the Occupy Nigeria uprising gathers force. Tens of thousands of people have been taking to the streets as trade unions join in the rebellion with an indefinite nationwide strike against Goodluck Jonathan's neoliberal regime, which has hit the poor by removing a state fuel subsidy. President of Nigeria Labour Congress (NLC), Comrade Abdulwaheed Omar, who confirmed the killing, accused the police of using excessive force to quell the protests and cracking down on protesters. Giving the breakdown of the casualty figure, Omar said six protesters were killed in Maiduguri, the capital of Borno State, three in Lagos and one in Kano during the demonstration, reports The Moment. The Red Cross also confirmed that police fired live ammunition and tear gas to disperse a crowd of protesters in Kano and Lagos wounding at least 18 people, some of whom died in the hospital. For the Lagos incident, angry protesters at Ogba in Lagos, identified one of the slain protesters as Ademola Aderinto, and the injured as Alimi Abubakar, Egbujor Samuel and Iyara. One of the protesters, Dickson Oracle said, ‘There were about seven policemen shooting in the air to disperse protesters. "The DPO (police chief) opened fire targeting these four people and shot them. One died on the spot, because he sustained serious bullet wounds and the remaining have been brought to the hospital." Another protester, Abubakar, said: "We were standing in front of our Mosque when some people who were sharing hand bills got to the place and just as we were still talking with them, suddenly police vehicles pulled up and started shooting sporadically on the ground before one of their Ogas took the gun from one of them and fired at us and the bullet hit me on my left thigh and I fell down. "We were not even protesting on the road." In Lagos the usually busy Mushin, Fadeyi, Jibowu, Ikorodu Road, Lagos-Abeokuta Expressway were blocked by the protesters who made bonfires on the roads. At Fadeyi bus stop, demonstrators burnt tyres and scores of youth were seen chanting anti- government slogans. 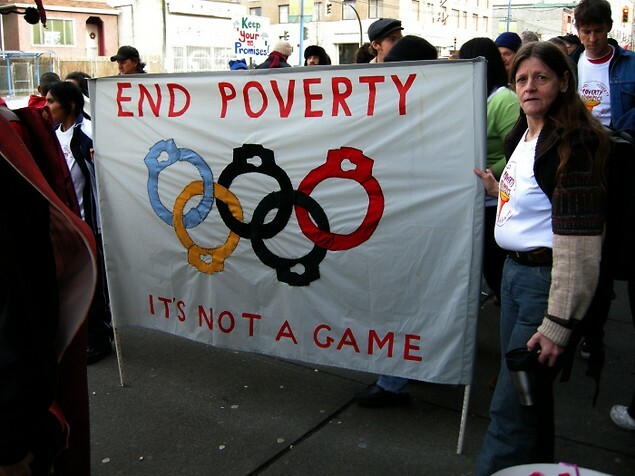 A BIG meeting to prepare for Countering the Olympics is being held in London later this month. The event is being staged on Saturday January 28, from 10.30am to 5pm, at Toynbee Hall, Commercial Road, London E1 6LS. "While the bigwigs are gaining billions, just what do the rest of us lose? "This will be a day-long opportunity to investigate and interrogate all aspects of Olympic theft, debt, repression, pollution, corporatisation, sponsorship, displacement, and lack of community consultation. "From NOGOE and Save Wanstead Flats to Vancouver and Athens, a range of local, national and international activist groups will share their stories. 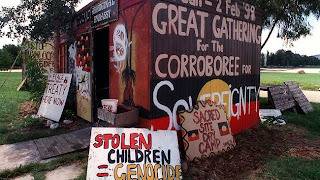 Then it’s up to us all to create the mass mobilisation needed to expose these Olympic-sized lies! "Whether you’re an avid organiser or new to the game, now is the time to get involved." POVERTY stricken Nigerians are taking to the streets against a new government imposing a neoliberal agenda. Reports Vanguard: "For the third consecutive day, protests in different parts of the country over the New Year Day’s removal of fuel subsidy continued yesterday in some parts of the country ahead of Organised Labour’s nationwide industrial action billed for Monday. "Protesters grounded Ibadan, Benin and Kaduna yesterday as the three-day peaceful protest in the commercial city of Kano turned violent with about 44 persons injured. "This was even as other trade unions, including the Maritime Workers’ Union of Nigeria, NWUN, Association of Senior Staff of Banks, Insurance and Financial Institutions, Federation of Informal Sector Workers, Petroleum and National Gas Senior Staff Association of Nigeria, PENGASSAN, Nigeria Bar Association, NBA, and the Federation of Female Lawyers have indicated their interests to participate in the strike. "No fewer than 44 persons were seriously injured in Kano State, when the police and other security agencies reportedly used maximum force to disperse thousands of protesters who had spent three days at Tahir Square in the city centre over fuel subsidy removal that has led to the increase in petrol price from N65 to between N138 and N250 per litre across the country. "In Benin, the Edo State capital, economic activities were grounded when market women, youths, Nigeria Labour Congress, NLC, Trade Union Congress, TUC, Civil society organizations under the umbrella of the Coalition to Save Nigeria, in their thousands, stormed the streets of the ancient city, protesting government’s removal of fuel subsidy." A letter addressed to President Goodluck Jonathan from protesters said: “In the interest of peace, unity and progress in Nigeria, we recommend the immediate reversal of the price of fuel to N65 in the first instance and thereafter to N39.50k, which is the ideal price of a litre of petrol. "Restore the capacities of the four refineries in the country immediately and take full control of the oil industry. Drastically reduce the cost of governance and use the proceeds to fund development projects and the welfare of Nigerians. Jettison all market fundamentalist policies/programmes of the IMF/World Bank. THE ECONOMIC crisis affecting the neoliberal-ruled world presents radicals with a golden opportunity which must be seized. That is the New Year message from UK-based weekly direct action news source Schnews. It writes: "In Europe, austerity packages have failed, whole economies have nearly defaulted and double dipped all over the place, people got angry, and the police beat them up. "Whole new governments in Italy and Greece were installed without any popular mandate – these weren't coups of course, that would just be too twentieth century and Latin American – nope these were coalitions in the national interest headed up by utterly apolitical 'technocrats'. "These paragons of virtue have predictably made the pleasuring of international finance their first prerogative. "For a while the whole nature of what is occurring has been deliberately obscured, buried under a blizzard of economic jargon. But put simply what is at stake is what has always been at stake – power and wealth. "While the 'free' market kept the elite in the style to which they were accustomed the free market itself was an unassailable idea – a basic fact of nature. The minute the markets turned on their makers the tune suddenly changed to one of 'regulation' with a farcical attempt to pin the blame on a few rogue traders and convince a sceptical populace that 'We're all in it together”. That is all wearing a bit thin. "That crisis is now unfolding across the Western world – and in many ways for us lot (the radical left) this is a golden opportunity. "The impoverishment of a whole sector of the population in order to maintain the rich lifestyles of a few (the cuts agenda) is an obvious morality tale that requires zero grounding in Marxist dogma to understand. "The Occupy movement has made some bold strides in this direction – and there are encouraging signs of linking up with other struggles, notably the autonomous and rowdy electricians movement – the Sparks. "Whether it's sleeping on the concrete outside St Pauls, wildcat strikes, chucking a molotov or taking a beating at the hands of a corrupt cop, we are all in this together. The only real alternative is the radical alternative. Take back the future!" UP to 70 prisoners went on a riot at a privately-run jail in Scotland, firing snooker balls as missiles and setting fires. 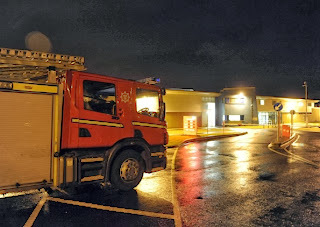 The incident saw a number of inmates take control of one wing of Addiewell Prison in West Lothian for more than three hours. 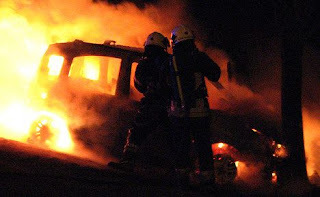 The rebellion sparked a full emergency response from police, the Scottish Ambulance Service, and Lothian and Borders Fire and Rescue Service, reports The Scotsman. Prisoners took control of the wing at around 4.30pm on Monday for more than three hours, before being surrounded. Inmates used snooker balls as missiles and are reported to have set off multiple small fires before police regained control at around 7.45pm. There were no reported injuries to prisoners or staff. Sources said it was a “serious” situation requiring a “full-scale response”. OCCUPY activists in the USA are protesting on Tuesday against controversial and draconian laws passed by the Obama regime over the New Year. These allow the US state to indefinitely detain citizens, though this frightening truth is being hidden from the American public by official spin . Says the Occupy Wall Street site: "A call has been put out to let our government know the people will not tolerate any more attacks on our rights! "January 3rd will be a spontaneous show of people power in reaction to Obama’s treasonous signing of the National Defense Authorization Act. "Not only does this act violate our first, third, fourth, fifth and sixth amendments, as well as the Universal Declaration of Human Rights and the International Covenant on Civil and Political Rights, but this Act was signed quietly this past New Year's Eve violating what little trust remained between the people and their established government. We see what’s happening here, and we will not stand for it." Blogger Jonathan Turley writes: "For civil libertarians, the NDAA is our Mayan moment. 2012 is when the nation embraced authoritarian powers with little more than a pause between rounds of drinks." BAHRAINI revolutionaries have fought back with molotov cocktails after a teenager was murdered by police. Sayed Hashim Saeed, aged 15, who died on Saturday, had apparently been hit by a tear gas canister at close range on Saturday. The Al-Khalifa regime is backed by Saudi Arabia and the USA and Press TV reports that there have been anti-US protests in several areas, including Sitra, in which US flags were burnt. In an interview with the Iranian TV channel, Bahraini activist Asma Darwish says: "Actually the regime mercenaries are shooting directly into people and into the houses and just today our house was shot by tear gas canisters. The smell is so strong and those tear gas [canisters] are all made in Brazil and in France and the United States. "The countries, including the United states should stop supporting the Bahraini regime. The Bahraini regime is an oppressive regime."